Since Kim Jong-il passed away in December 2011, on one hand it seems that new elites are appearing at the head of North Korea. However these people were not belonging to the former flagship structures of the North Korean system. 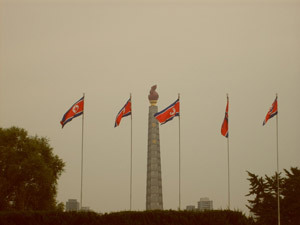 On the other hand, from the standpoint of economical issues, the North Korean army (the KPA – Korean People's Army) which was at the head of many companies in the field of the public infrastructure in North Korea had lost a part of its power (by losing its control on mining and agriculture infrastructures) due to an increasing power of the Korean Workers' Party (KWP-the North Korean Communist Party) and affiliated organizations. In other words, companies run by military structures are now under the control of organizations affiliated to the Korean Workers Party (the Ministry of International Trade, the Ministry of Foreign Affairs, the Second Economic Committee,...). Indeed, the army is not merely a military force, it is also the largest employer in North Korea. Given the strong involvement of the military structures in the political and economic life in North Korea since its inception in 1948, the army has become a key organization of the North Korean system. Over the years, new paramilitary organizations have been created in North Korea (including among others the Worker-Peasant Red Guards established in 1959) so that the army refocus around its military actions. Since the mid 90's , the Kim family (the biological family of Kim Jong-eun, the current leader of North Korea) has been increasingly opposed to the economic role of the KPA. 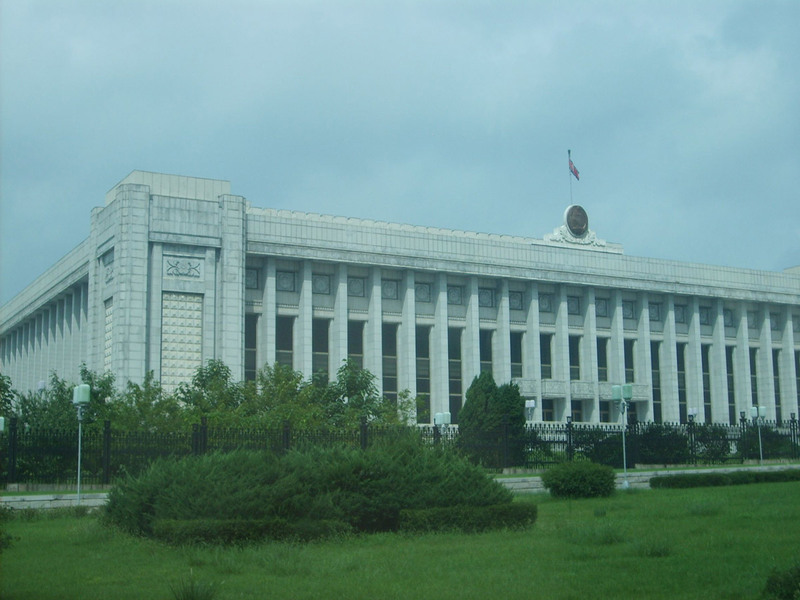 Thus the economic functions of the KWP have been strengthened by creating hybrid organizations affiliated both to the KPA and the KWP (such as the second Economic Committee, a sort of Ministry of Economic Affairs or the military Commission of National Defense, a military organization jointly managed by the KWP and the KPA). Nevertheless the KPA is still managing some strategic economic structures. Paramilitary organizations are also managing structures of less importance. The KWP (especially some specific KWP cells) seeks to take control of some economic structures because the KPA economical policy diverges from the KWP one. The KPA continues to be considered as a conservative organization while cells mentioned below are significantly more open to economic change in North Korea and its leaders consider themselves as better managers of companies that the military representatives to business entities. The referred changes appear to be orchestrated by the Kim family, the family of those who rule over North Korea since 1948 (the establishment date of North Korea). Indeed the structures of the Party involved in assets management which were previously managed by KPA affiliated organizations are currently managed by some members of the Kim family (Paek Se- bong, the director of the Second Economic Committee is a cousin of Kim Jong-eun, Kim Yong -chun , the director of the Worker-Peasant Red Guards is the great uncle of Kim Jong-eun, ... ) . These elements indicate that the real power is in the hands of the Kim family. Why the Kims ? We must here mention that in the 40s, Joseph Stalin, the Soviet dictator personally decided that Korea should be under Soviet administration. In fact he knew that the Americans had the same type of claims. Thus Stalin decided that a North Korean named Kim Song -ju (the original name of Kim Il-sung) was chosen as the representative of Moscow in the Korean Peninsula. 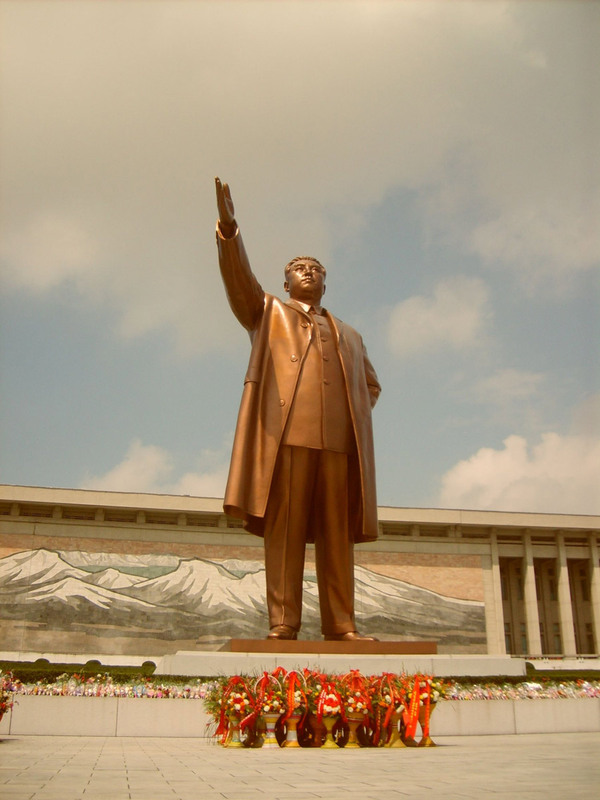 Then the same Kim Il-sung encouraged Mao and Stalin to attack South Korea, which was under U.S. occupation. This is ultimately a bloody conflict that broke out between the two Koreas between 1950 and 1953Neither Korea won the war in July 1953 and an armistice was signed. 2 million of civilians and soldiers were killed in this conflict. After the death of Stalin, Kim Il-sung was worried by the results of the XXth Congress of the Soviet Communist Party in 1956. He noticed that Stalin's successor, Nikita Khrushchev, had strongly criticized the policy of his predecessor. Therefore it was necessary to implement another strategy in order to remain at power in North Korea. Therefore Kim Il-Sung decided to set up another system of loyalty, a system based upon links blood and loyalty to the Kim family. Consequently in the 60's, the Kim family members were appointed at key positions of the North Korean system (Kim Jong- ju, the younger brother of Kim Il-sung was responsible in the 60's for the Department of Propaganda and Agitation of the KWP. Kim Sung-ae, the second wife of Kim Il-sung, was in the 70's the first secretary of the North Korean Democratic Women's Union. After the death of Kim Il -sung in 1994, the son of Kim Il-sung, Kim Jong-il took the head of North Korea. 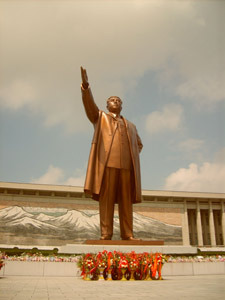 When Kim Jong-il passed away in December 2011 he was replaced by his son Kim Jong-eun. 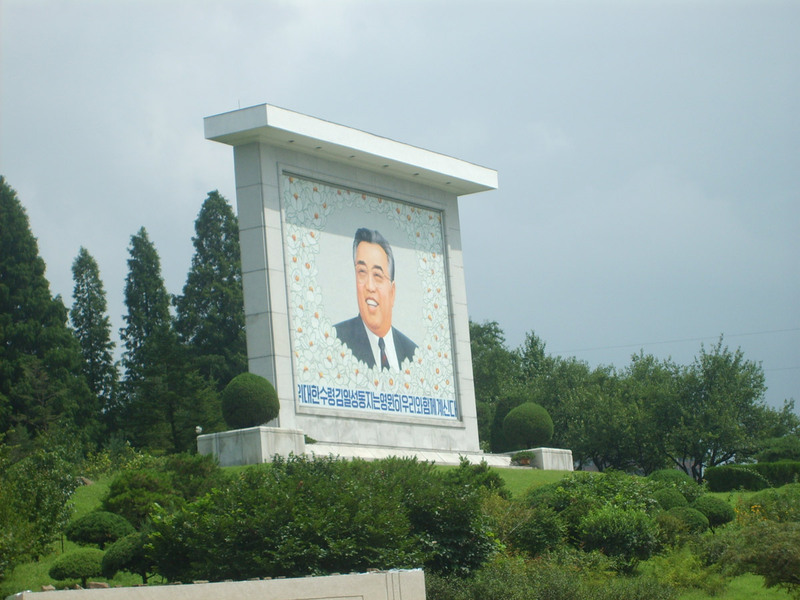 The family of Kim therefore continues to play a key role in all structures of the socialist state since 1948. North Korea, from its inception until 1990, received a substantial international aid from countries of the Eastern bloc primarily from the Soviet Union which have actively participated in the reconstruction of North Korea. Many technicians from other eastern European countries (Poland Czechoslovakia, Hungary, East Germany, Romania,…) sent also funds to North Korea. Many North Korean orphans were also living in East Germany and in Poland. In this international context, the key decisions of the Kim family chaired the fate of the North Korean population. Ongoing support of the Soviet bloc and China helped North Korea to avoid any reforms which could jeopardize the stability of the North Korean regime and thus have maintained the conservative wing of the family Kims (under the leadership of Kim Jong-il ) at the head of North Korea. The period from 1995 to the present day implicated structural and organizational changes in North Korea. The Kim family is still at the head of the main political, economic and military structures of the country, however, it seems that the “liberal” wing of the family took major policy decisions. These decisions are of course accepted by the former North Korean leader and by Kim Jong-eun. Those who advised the Kim family are politicians, businessmen, considered as being loyal to the Kim family . They studied abroad (in China, Europe, in the United States under false names), they manage companies and have strong relations with the KPA . 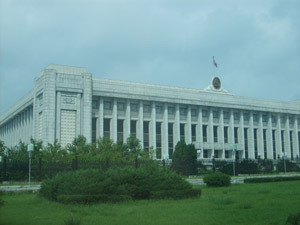 Among the members of the "management board " of North Korea, there are also other personalities such as Ri Su- yong, the tutor of Kim Jong-eun, now responsible for a number of investment in North Korea (especially in the resort of the Mount Kumgang), Kim Sung-nam , advisor of Kim Jong-eun on Chinese matters, Kim Sul-song , the older half-sister of Kim Jong-eun , who is managing some North Korean companies jointly with the millionaire brothers Jon (Sung-hun and Young-hun ) in the transport sector and in the supply of consumer goods (cars , etc.). The full list is much longer and includes many other members of the family who do not live necessarily in North Korea (such as Kim Jong-nam , the eldest son of Kim Jong-il who continues to manage some of the accounts of the Kim family). The advent of this liberal wing has led to radical changes in the North Korean system Since Kim Jong-il passed away in 2011, the KPA lost much of their decision-making abilities. The KPA was also forced to pass the economic entities that were under their control to the KWP. This raises the following question: Can the reorganization of these structures (which constitutes 70 % of the economic capacity of North Korea) lead to political and social changes in North Korea? The liberal wing of the Kim family which tries to avoid an internal unstability has to set new rules of the “game”. They reward the former KPA managers of important economic societies in North Korea (for example in the mining industry) or strategic military divisions (such as those near the borders with China and South Korea ). Kim Jong-eun gives them some kind of annual "gifts" (in form of cars, foreign currencies, furniture “Made in Europe” - some North Korean elites have homes where all products are Austrian!). That ensures the sustainability of the new relationship between the KPA and the KWP. This reflects also the increasing degree of corruption at the highest level of decision channels in North Korea and can subsequently lead to more radical changes with which the liberal wing could not cope in the future. How to know whether North Korean generals will still accept a loss of power in exchange of lavish "gifts" ? These same general are convinced that Kim Jong-eun will keep them alive? The recent history doesn't give them reason. Ri Yong-ho, Kim Jong-gak and Hyon Chol-hae former leaders of the KPA were simply removed from their prestigious positions in the North Korean Army: so who's next? The next was Jang Sung-thaek, the former husband of the aunt of Kim Jong-eun. For unknown reasons ( Jang Sung- thaek allegedly threatened and thrown in doubt the power of Kim Jong-eun ), this North Korean politician was executed on the 13th December 2013 after an quick military trial. It is still too early to draw conclusions from this event but if it is true that Jang Sung- thaek was executed, it would mean that nobody can feel safe in North Korea and that the Kim family has less power than in the past years if they were not responsible for the eviction of Jang Sung- thaek . It is also highly possible that the eviction of Jang Sung- thaek was due to conflicts that are not directly caused by opposing military factions. Indeed, in recent years, although the Kim family continues to dominate the political scene, other families (side-branches of the Kim family) have seen their roles increase in the recent years. Including among others, the Kang family ( Kang Sok-ju is a North Korean Deputy Prime Minister whose children manage companies in North Korea) , the Oh family (Oh Kuk-ryol's children work in import-export companies between China and North Korea). Therefore, some disputes among these families may have lead to the eviction of Jang Sung- thaek ? Regarding the nuclear file, it is now run by a group of KWP politicians endow with some military knowledge. This group of individuals (Kim Kyong ok , Ju Kyu-jang , Pak Do-chun and Choe Ryong -hae) represent the cutting edge on the atomic issue and these people should be involved in nuclear negotiations. What remains relevant here is the fact that these negotiations (if they can be considered reliable) are yet conducted by people associated to the Kim family: Ri Gun, Kim Kye-kwan and Ri Yong-ho . All without exceptions were relatives of the Kim family. In conclusion, the enlarged Kim family is facing internal changes in North Korea. The Kim family must also take into account the generational changes taking place in its foreign partners (I think especially to the Chinese elites which are more and more opposed to the belligerent policy of Pyongyang) that may affect the future of relations between North Korea and its foreign partners. The changes that have been indicated in this text means that the North Korean leadership is aware of the requested changes but they are also conscious that these changes cannot question the nature of the North Korean political system. and as a lecturer at the Alcide De Gasperi University of Euroregional Economy in Józefów. He focused, in a PhD thesis, on the North Korean elites currently in charge of the country.